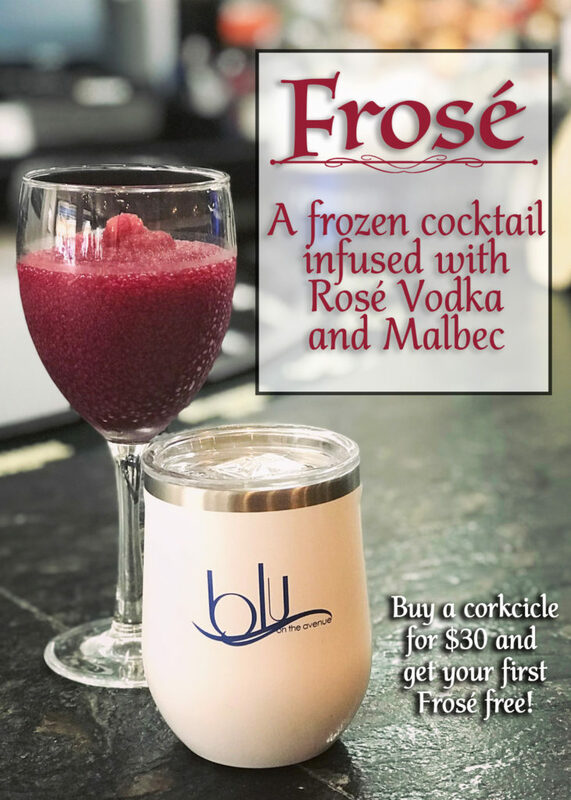 To celebrate this winter season we are introducing a new cocktail appropriately named the “Frosé,” a frozen cocktail infused with Rosé Vodka and Malbec. To keep it nice and cold, purchase a Corkcicle for only $30 and you will receive your first Frosé for free! Come try one today!